The agency issued a statement this morning ahead of its CEO’s appearance before an Oireachtas committee. IRISH WATER HAS said all of the contracts awarded as it was being established are “fully compliant” with European Union rules. In a statement issued this morning ahead of the CEO’s Leinster House grilling, the body said the contracts were all in line with public sector procurement guidelines. “Bord Gáis and Irish Water have been scrupulous in the awarding of contracts,” it said, noting that it wanted to ensure value for money and transparency. Meanwhile, the Public Expenditure and Reform Minister Brendan Howlin has said that the new State utility will be brought “fully” into Freedom of Information, appearing to rule out a temporary three-year FOI regime, saying there will be no “hokey cokey, in again, out again” regime. “All the documents pertaining to Irish Water should be available to public scrutiny,” Howlin said today. Both organisations said they “strongly reject” any suggestion or claims of non-compliance. Reports this morning suggested that exemption rules within the EU regulations were used to award contracts for computer services to four suppliers. Commenting on its IT spend, the utility said it had saved at least €58 million in software licences because it was set up within Bord Gáis. “Irish Water was established within Bord Gáis so that the new utility could benefit from the expertise and experience of being part of a world class utility,” the statement continued. The procurement of software licences with Bord Gáis was subject to a full competitive tender process. In instances where Bord Gáis needed to extend the application of these software licences beyond the stated application in the initial competitive tender, Bord Gáis adhered fully to EU rules in negotiating software licence extensions to Irish Water. Howlin said today that he had already told an Oireachtas committee last year that while the normal provision that commercial semi-states are NOT brought under Freedom of Information, there is a difference in relation to Irish Water. CEO John Tierney is due to face questions from the joint Oireachtas Environment Committee later this afternoon. The chairman of the committee, Labour’s Michael McCarthy, says he expects the exchanges to be “full and frank” and said that Irish Water will be pressed to give a breakdown of its spending so far. 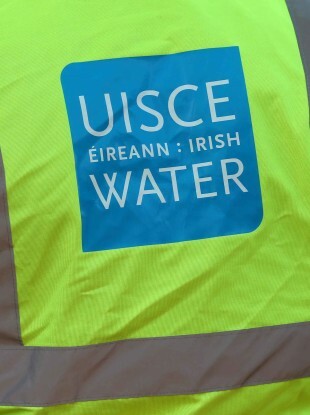 Irish Water has been subject to scrutiny over the past week after it emerged that it had spent €50 million on consultancies. Email “Howlin says FOI will apply to Irish Water, as company insists all contracts are ‘fully compliant’”. Feedback on “Howlin says FOI will apply to Irish Water, as company insists all contracts are ‘fully compliant’”.